May 30, 2018 — While we spend a lot of time worrying about what’s going wrong in the community, it’s important to stop every once in a while and celebrate our successes. A few years ago, the Community Foundation provided funding to Co-County Wellness to work on an ambitious project to cut the teenage pregnancy rate in the county by 40 percent by 2022. There’s probably no more reliable indicator of bad health and economic outcomes than a teenage pregnancy. Children of teenage mothers are more likely to be born prematurely, suffer anemia and be born below a healthy weight. Teenage mothers are less likely to finish school and far more likely to suffer economic hardship. In 2012, the rate of births to teen mothers (ages 15-19) in Berks County was 36 per 1,000, compared to Pennsylvania’s 23.4 per 1,000. A deeper dive into those numbers shows that two-thirds of those pregnancies occur in the city of Reading and that about 75 percent of teenage mothers are Hispanic. Co-County Wellness brought a large group of partners together to focus around a common agenda and metrics. They created “Berks Teens Matter,” an education and outreach campaign that engaged young people to work with their peers. Armed with reliable, well-accepted information about the impact of teenage pregnancy and medically sound information about avoiding unwanted pregnancy, the campaign fanned out across the city through social media, youth ambassadors and outreach to parents. The effort is paying dividends. While teen pregnancy rates have dropped all across Pennsylvania by about 32 percent, the rate in the city of Reading has dropped by an astonishing 43 percent, causing Berks County’s overall rate to drop by 28 percent. There’s really no explanation other than Berks Teens Matter for the extraordinary success we’re having on this crucial issue. There’s still much work to do. 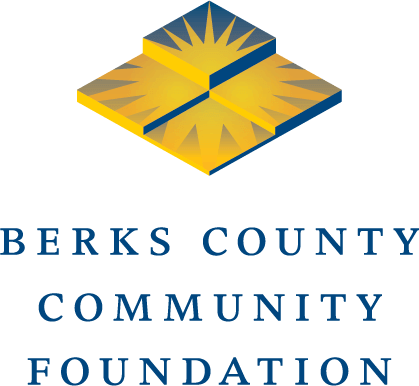 Berks County’s rate is still much higher than Pennsylvania’s and the rate in the city of Reading is unacceptably high. But we are making progress. The very talented and dedicated team at Co-County Wellness has proved a number of important points in this effort. First, they’ve shown the power of bringing partners together. The last list I saw had 28 organizations listed as partners in the effort, including our colleges, our health systems, government and nonprofit agencies, and private philanthropy. They’ve also shown that we can have an impact when we focus on what we know works. There is no more politically fraught topic than pregnancy prevention. Rather than focus on ideology, the Berks Teens Matter effort has been relentlessly laser-focused on getting results. This means employing tactics that are known to be effective. We know, for instance, that teens who have access to clear, high-quality information about birth control options are less likely to become pregnant. And those who receive comprehensive sexuality education are more likely to remain abstinent for a longer period of time than their peers. So we should celebrate a winning effort while recognizing that this fight isn’t over. As long as there are teenagers, we will have to work as a community to help them make healthy, well-reasoned lifestyle decisions. But we’re making progress.